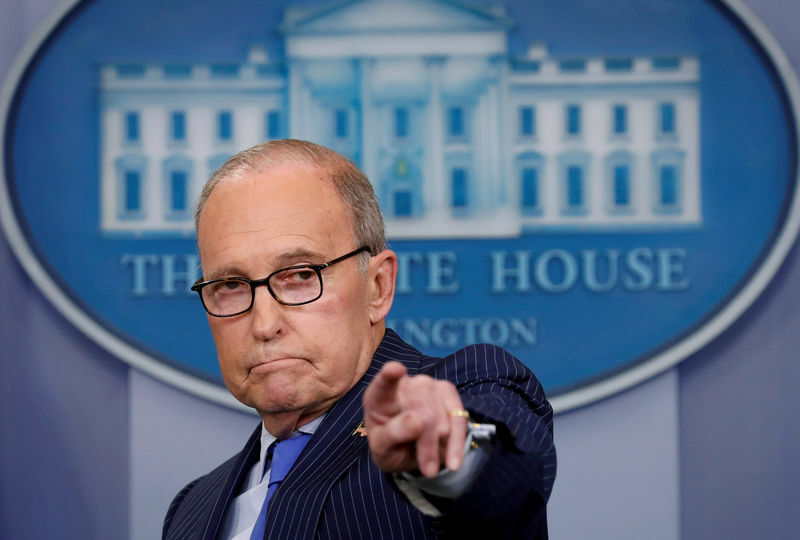 WASHINGTON (Reuters) – White House economic adviser Larry Kudlow, a staunch defender of President Donald Trump’s tough stance on global trade, will remain in a Washington-area hospital but was expected to “make a full and speedy” recovery after suffering a heart attack, the White House said on Tuesday. Kudlow, the director of the National Economic Council and an assistant to Trump, is expected to remain at Walter Reed National Military Medical Center as a standard precaution after experiencing what his doctors said was a very mild heart attack on Monday, the White House said in a statement. Trump announced Kudlow’s heart attack in a tweet sent minutes before he met with North Korean leader Kim Jong Un in Singapore. A longtime television commentator, Kudlow, 70, was hired by Trump in March to replace Gary Cohn as NEC director. Kudlow joined the president at the Group of Seven summit in Quebec on Friday and Saturday. He did several media interviews on Sunday to vigorously defend Trump amid a trade spat between the president and Canadian Prime Minister Justin Trudeau.